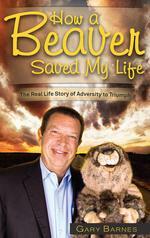 How a Beaver Saved My Life (Previously titled Into the Night): The Real Life Story of Adversity to Triumph Book is a dramatic look into one man’s journey when doctors told him that he would be in a wheelchair or dead in ten years. You will share Gary’s engaging, deeply touching, and sometimes hilarious stories. The experience will seem so real that you will think you are there with Gary as he faces death and disability and finds his way to win over both! On Purpose Results E-Course is a 13-week course designed to give you the mindset tools and techniques to make you more flexible, more agile, more confident, and more successful. It lets you “be your own coach.” To learn greater agility. To have more fun with your business. To expand your mindset. And to make the world better while improving yourself. 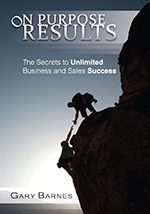 Discover the 7 secrets to building your multi-million dollar sales volumes! Are YOU Ready to Increase YOUR Income 23%, 47%, 109% or MORE? Gary Barnes International Introductory Traction Session is a personalized 1-on-1 call with Gary. The focus of this call will be to identify and release the areas of your business where you are stuck. People from around the world have told Gary again and again that this 30-minute session was key to the success of their business. 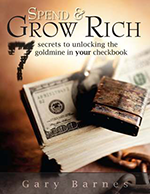 Spend & Grow Rich: 7 Secrets to Unlocking the Goldmine in Your Checkbook. The Power of GET Statements is the quick and easy, go-to strategy for creating what you want by writing simple sentences each day. 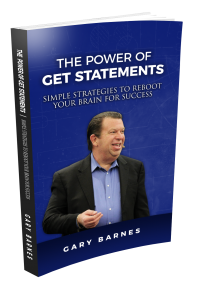 GET Statements™ get you laser focused on what you want and then engage your reticular activation system to see the opportunities that match your desires.